Apple патентует очки виртуальной реальности | АРТищев Андрей Борисович, к.э.н. For example, the device may detect a user’s head movement and cause the portion of media displayed to reflect the head movement. Apple even makes the point that they could take the realism so far as adding theatre surroundings, adjusting sound effects based on the user’s “seat” and even adding outlines of other patrons sitting in the theatre. 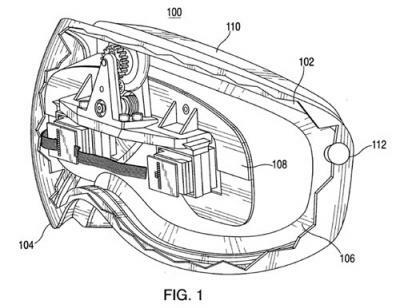 It’s not unusual for Apple’s patent applications explore novel concepts but Apple has published previous patents related to similar headsets. Предыдущая статья: « Саботаж местной власти в Крыму, отказ от приказов Киева.